Concerns have been raised about the removal of trees on lands owned by a third-level education institution in Cork City. Griffith College Cork has been criticised for cutting down a number of trees on parklands of the former St Patrick’s Hospice on Wellington road last summer. The college purchased the former St Patrick’s Hospice and its environs in 2016. 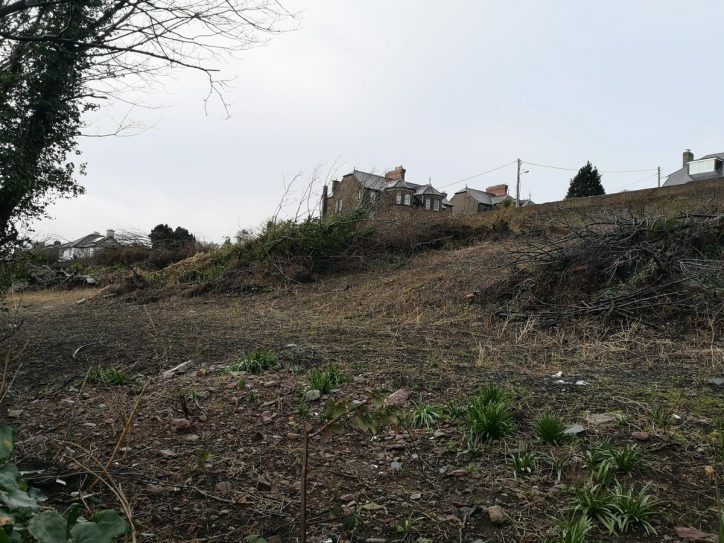 The issue was highlighted by the Green Party’s Oliver Moran, who shared images of the parklands before and after the trees were cut down on his Twitter account, prompting a public rebuke of the college’s actions. Mr Moran tweeted that Griffith has turned “designated landscape” into a “dead zone” adding that various animals used to live on the now cleared land. In a statement to The Green News, a spokesperson for Griffith said that the college removed “six small trees” from its property last summer followed “a decade of overgrowth”. “Jim Daly, the Head of Griffith College Cork consulted closely with local residents at the time; a number of residents visited the campus to view the buildings and this area as part of the process,” the statement read. The educational institute said that complaints from residents regarding “anti-social behaviour” in its parkland property partly encouraged the move. BEFORE AND AFTER: Destruction of urban forest by @GriffithCollege Cork. Speaking to The Green News, Mr Moran accused the college of “misrepresenting” residents, claiming that locals had unsuccessfully voiced their dissatisfaction to its management. “The residents visited the college and met with Jim Daly, yes, but to make their protests known. And they have written again to the college recently demanding the landscape restored,” Mr Moran said. Resident Cathal O’Shea also took to Twitter claiming that residents were not consulted about tree felling, adding that locals were only invited to take a “tour” of the campus grounds. Mr Moran also criticised Griffith College’s decision to grass the area, reasoning that the parklands’ value transcended such solution. “Re-sowing the site with grass isn’t good enough. It was zoned by Cork City Council for landscape preservation specifically because of its tree canopy and ecology,” he said. Mr Moran reasoned that the College has failed to set a good example for its students when it comes to preserving natural amenities. “What kind of message does it send to the students there about the importance of nature,” he asked. He added that Cork City Council must bolster its landscape preservation guidelines to include the conservation of trees. As it stands a Special Amenity Area or a Tree Protection Order can thwart tree felling on parklands. “What Cork City Council needs to do is to follow-up on the weak designation it has with ones that actually carry weight,” he said.